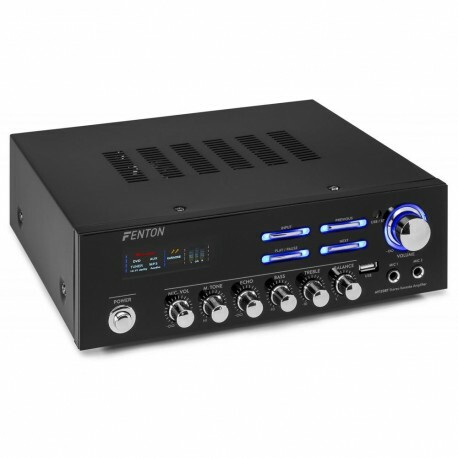 The Fenton AV120BT is a versatile 2x 60W HiFi amplifier with dynamic screen display that leviers the perfect sound for your home theatre system. 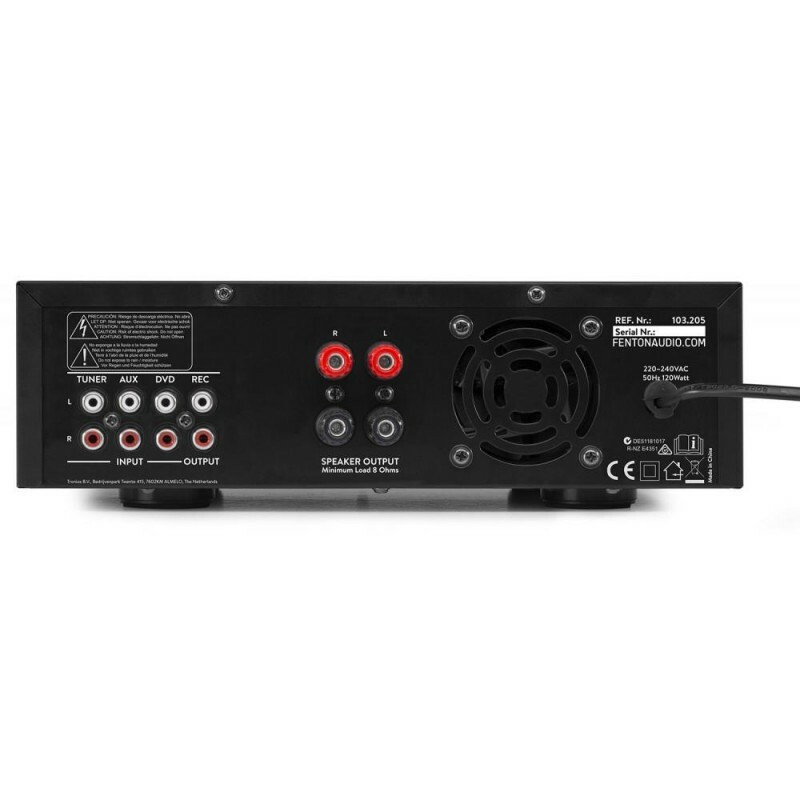 Easy to connect and use with standard RCA audio inputs on the rear for connecting your TV or other device via the AUX cable. Featuring a USB port, Bluetooth, Bass/Treble and Echo control, two microphone inputs, forced cooling, etc. 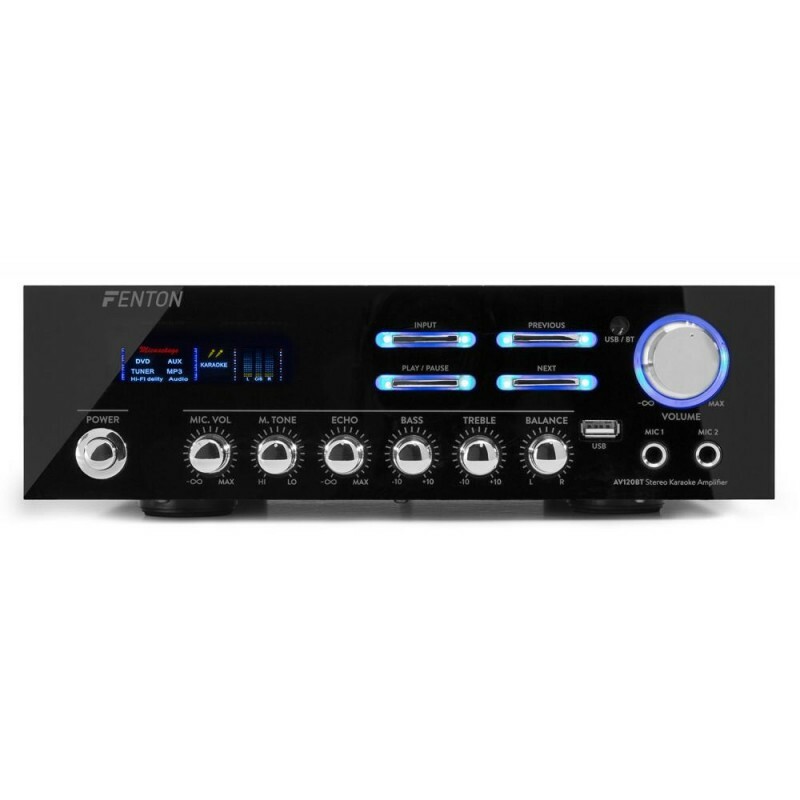 Also perfect for applications as Karaoke and background music.